Please see Part I of this article for general information and a discussion of the very unique Patagonian Conure or Burrowing Parrot (Cyanoliseus patagonus). Conures in the genus Aratinga are often suggested as birds to purchase for those who wish to keep macaws but lack experience (Aratinga means “little macaw”). Brilliantly colored but quite loud and with an indomitable spirit, conures do indeed resemble their larger cousins in many ways. Most do best in outdoor aviaries, although they can be acclimated to large indoor cages as well. The 17 species classified genus Pyrrhura are, in general, quieter and easier to manage than the Aratinga conures. An affectionate personality, quiet voice and small size (10 inches) render this one of the most favored of the conures. Hailing from western Brazil, northwestern Argentina and Paraguay, green cheeks enjoy being held and will even “wrestle” on their backs with those they trust. Fresh fruit is, as with all conures, an important part of their diet, and should always be available. A number of stunning color strains, including pineapple and turquoise, have been produced. The White-ear is, at 8.5 inches, one of the smaller conures, and also among the quietest and most confiding. It tames readily and is known for its trick-learning abilities, but like all related birds requires a great deal of attention if kept singly. White-eared Conures are limited in range to eastern Brazil, and generally stay high in the forest canopy. This first of the larger conures that we will cover is also one of the most popular, and with good reason. Although as rambunctious as its relatives, the Blue Crown has a very affectionate side as well, and is particularly quick to bond its owner. Those I cared for at a nature center years age were crowd favorites – always in motion and eager for attention. Two of the birds picked up several words on their own. Gorgeous golden yellow and deep red plumage keeps this bird on the “most wanted” list of parrot fanciers worldwide, but the jenday is best reserved for experienced aviculturists. While many become wonderful companions, these natives of northeastern Brazil tend to be high strung, especially when kept alone. A striking red head and face set this 13 inch beauty apart from other conures. Ranging from western Ecuador to northwestern Peru, where it is sometimes kept as a free-ranging pet, the red masked conure frequents arid habitats. Free-ranging may be the ideal (but illegal outside of its native habitat) situation for this robust bird – extremely noisy and active, it is suited only for large, outdoor enclosures. Often described as “watchful”, this large, thick-billed conure is not a bird for the inexperienced aviculturist. Nesting pairs are known for their habit of attacking anyone, even well-liked individuals, who approaches their aviary during the breeding season. Two of the world’s most beautiful parrots are conures, and both are regularly bred in captivity. For further information, please see The Golden Conure and The Sun Conure. I’ve toyed the idea of getting a bird or two(somthing small…finches or painted quail? )and getting an upclose look at bird family life though I’ve never gotten around to it. Thanks for the kind words…nice to have you “lurking” here as well as on our Reptile and Fish Blogs! Painted quail and most finches will coexist if you can keep them outdoors in an aviary; usually much more opportunity to observe natural behavior with these and other smaller birds kept in groups. I’m looking to know all the laws on tameable animals,birds and lizards,fish?I love the outdoors and animals a great deal they are beauty.please help me learn before i move there.thank you. Thanks for your interest in our blog. I’m happy to see that you are taking the time to learn more about your interests. In the USA, each state has different laws that determine what animals may be kept as pets. For example, in NY, it is not legal to keep any reptile or amphibian that is native to NY, unless you obtain a permit. However, it is legal to keep many, but not all, non-venomous reptiles from other countries. 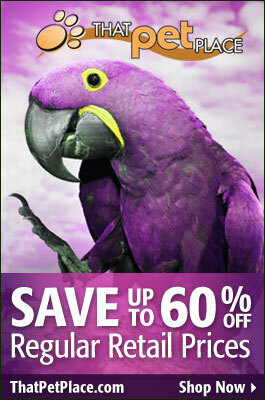 Wild-caught birds are illegal in all states, but captive-born parrots are legal…so, you have a big (but interesting!) project ahead of you. I think your best option would be to go to the US Fish and Wildlife Service Website list of state wildlife agencies. This is a list of the different agencies that regulate wildlife in each state. Under each state, you can search topics such as “exotic pets” wild animal pets” “captive wildlife permit” . It might be easier to call the general phone number listed for each state, since the laws and topics are given different names in each state. I hope this is helpful; please write back if you need more info, and let me know how it turns out. 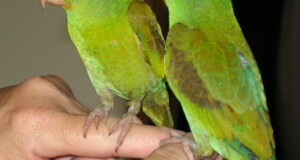 I am planning to breed a few of the pyrrhura conure species but all i have is a couple of huge aviaries whose size in feet are.. read as ( L x W x H ) (20 x 11 x 9) and ( 25 x 15 x 11), i would like to know if they interbreed or fight for a nesting box even though i provide more number of boxes than the actual number of pairs, in truth i don’t want different species to crossbreed. And secondly can one species of pyrrhura conures live in a colony setup in an aviary that big without fighting or killing eachother, your answers for these questions will be a lot helpful cause i couldn’t find answers for these in the internet and i don’t have small cages to breed them in pairs. Hello Raj, Frank Indiviglio here. Thanks for your interest in our blog. Most folks breed the 6-8 species that are regularly available in pairs; I’ve read incidental reports that the Maroon Bellied Conure, P. frontalis, can be bred in a colony situation but this takes a good deal of management and close monitoring. 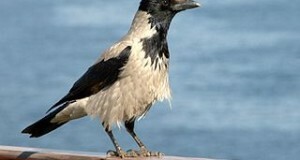 Most species breed separately in the wild; pairs may be in the same vicinity, but not so close as in an aviary. There has not been much interbreeding that I know of, but that is likely due to the fact that the species have been kept apart by aviculturists. There is a very good chance that 2 species within the same genus would hybridize. I am trying to find articles on the net on colony breeding of a few species. I used to have a colony of Quakers ( Monks), Ring necks and one of the Patagonian.. That went well and was pleasant to watch. I have set up an aviary of 25 m2 have divided this in the back under roof in 9 spaces of 1 m2 each ( division made with a thick ( 10 cm) of smaller branches so they can see each other but are protected and can defend their territory ( world) The bottom of the territory ( world) is open so there is a way in and out plus I make a smaller entrance in their “world” and see what they prefer. In the “world” a nest box is placed of 25 cm2 and 60 cm high the inside of the nest box I have shaped with clay ( so the eggs will not be pushed around in forgotten corners ) and is covered with a thin grass sod , nesting material is cut empty cobs ( corn). To imitate natural conditions of a hollow palm tree or other trunk. The communal aviary is partly under roof and for 12 m2 open where I will build a water feature of running water with smaller pools on different levels ( for their bathing habits..) There are a few big branches to sit on and leaves a lot of space to fly to give them a flock position where they can fly together.. The smaller branches to sit and communicate are closer to the nesting “worlds” so I will be able to see whether this also starts to form part of their territory. to see whether they make their “world” bigger. I was a bird breeder for many years and I am retired. I will leave my farm and build a new place where I want to build a great deal of aviaries bigger than I have now and try to do the same with bigger hooked bills like the African Grey , the Amazon, the Eclectus and depending on the neighbours Macaws.. I have met my new housekeeper, who lives in, 2 years ago.. and Emmanuel has the same interest so we are going to do this together.. we are as excited as two little boys with the plan.. Please if there are people with experiments like this let them come forward.. I would love to exchange experiences and questions.. on the other hand I would not like to reinvent the colony breeding system wheel..
Hello Jan, Frank Indiviglio here. Thanks for the most interesting and informative post. It is so good to see the care and effort you put into your work – I hope others will be inspired, and also that other colony breeders will check in. I’ll check my other sources as well and will refer folks back to you when possible. I understand your passion – I am the same, no lessening of it since childhood or since retiring from the Bronx Zoo.